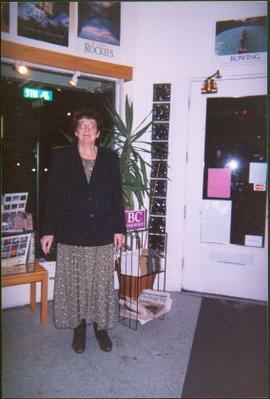 Photograph depicts Moran standing in bookstore. 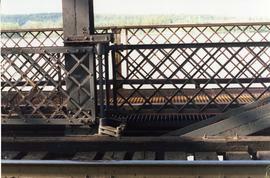 Window, door, and plants in background. 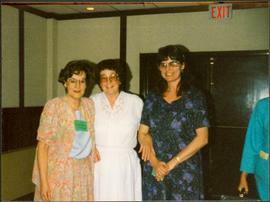 Photo taken at book signing event for Moran's 'Justa: a First Nations Leader'. 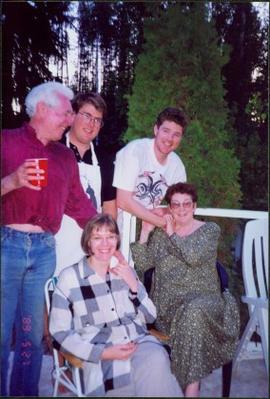 Photograph depicts Moran sitting in lawn chair on deck in backyard. 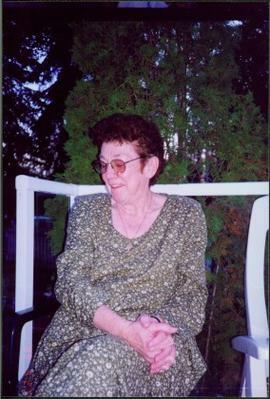 Deck railing in midground, trees in background. 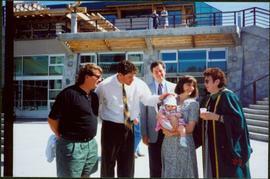 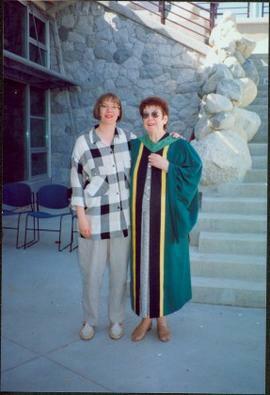 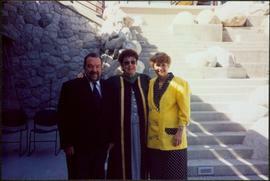 Photo taken on the day Moran received an Honourary Law Degree from the University of Northern British Columbia in Prince George, B.C. 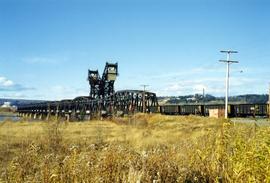 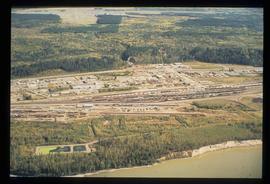 Image depicts an aerial view of the BC Rail, in Prince George, B.C. 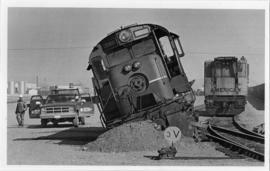 It is now known as CN Rail. 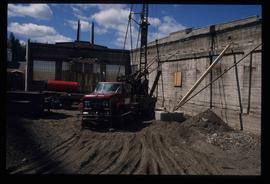 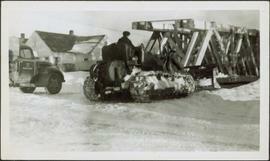 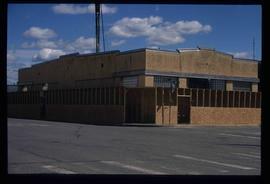 Image depicts an unknown building under construction at the corner of 6th Avenue and Dominion Street in Prince George, B.C. 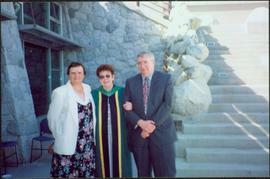 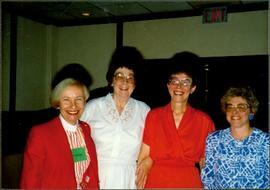 File consists of photographs of Bursary Recipients in 2001. 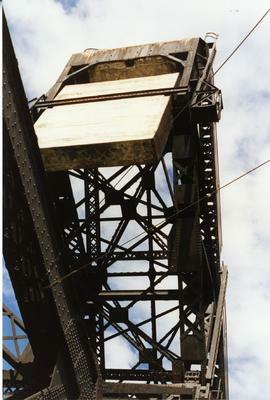 Series contains material related to H.G.T. 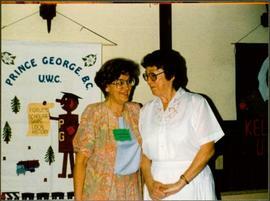 Perry's publishing activities with two British Columbian newspapers: the Prince George Citizen, and the Prince Rupert Daily News. 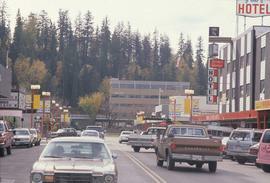 Image most likely depicts the Central Business District, possibly an area near Victoria Street, in Prince George, B.C. 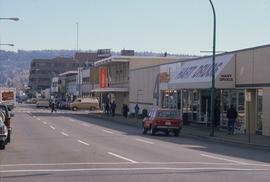 Image depicts a street of businesses, possibly 3rd Avenue, in Prince George, B.C. 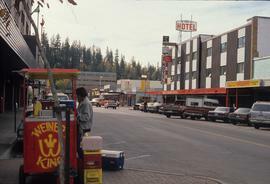 Image depicts a street of businesses, with City Hall at the end, possibly in the Central Business District in Prince George, B.C. 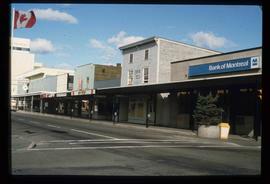 Image depicts City Hall, possibly in the Central Business District in Prince George, B.C. 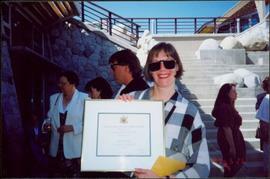 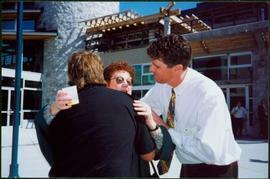 File consists of photographs of the CASHS Awards Ceremony for 2002 / 2003. 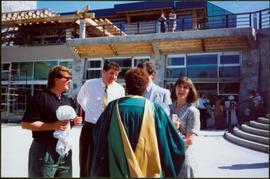 Videocassette contains footage regarding CASHS and First Nations recruitment. 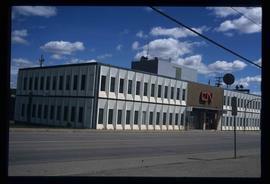 Recording consists of CKPG Television archive news footage from 1987-May 1992. 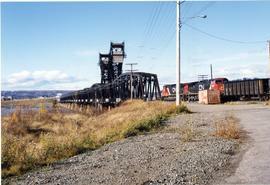 Image depicts the CN Building in Prince George, B.C. 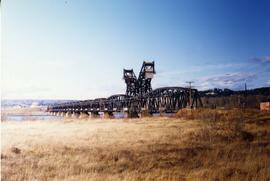 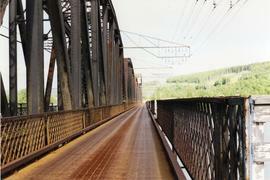 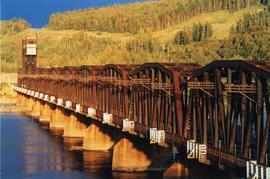 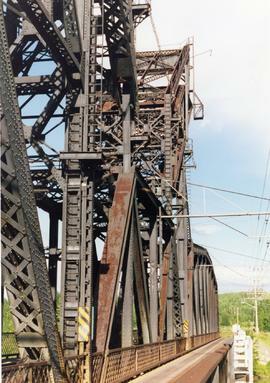 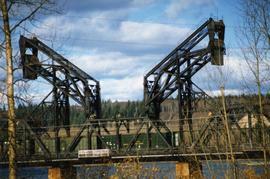 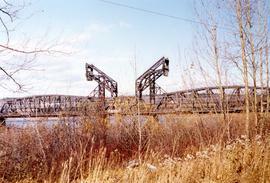 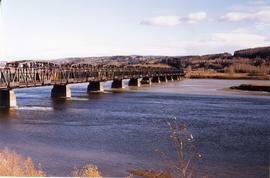 Photograph depicts a CN bridge crossing over the Fraser River. 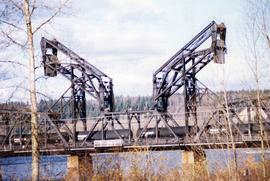 Built by Grand Trunk Pacific Railway in 1914. 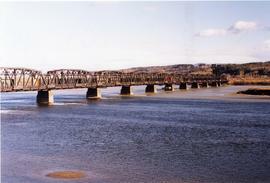 Photograph depicts a CN bridge crossing over the Fraser River. 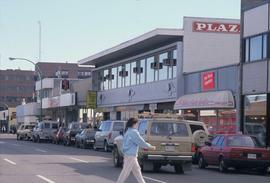 Photograph depicts a print taken fron a slide supplied by a professional photographer, Al Harvey. 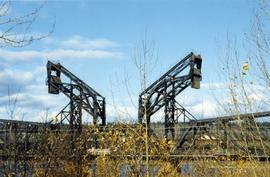 Captures a CN bridge crossing over the Fraser River. 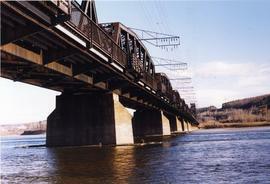 Photograph depicts a CN bridge crossing over the Fraser River. 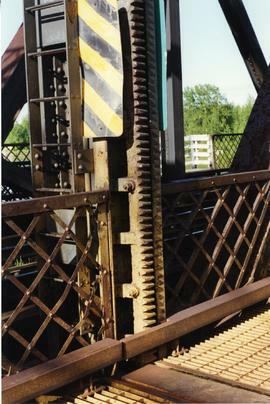 Details of the draw span captured.